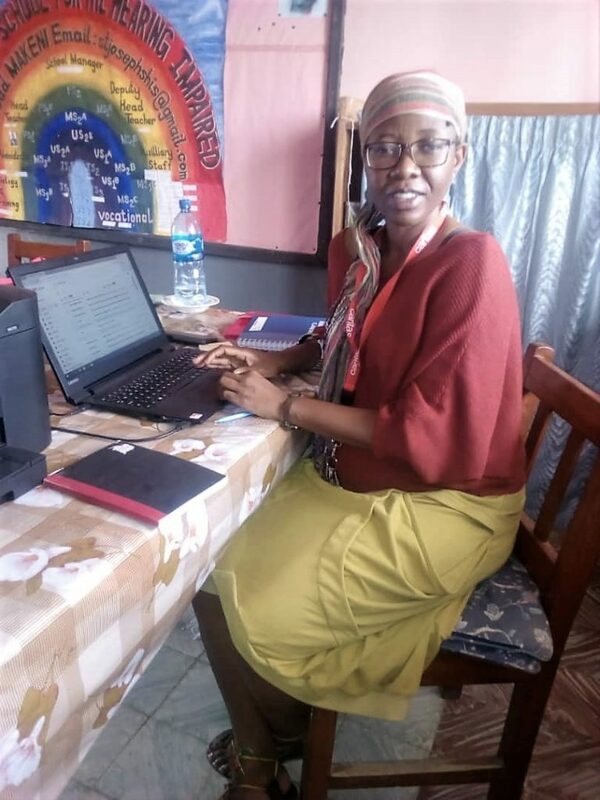 My name is Thabile Cele from South Africa (Durban), the long- awaited Assistant for Sister Mary. I am volunteering under VMM (Volunteering Mission and Movement). I am in my final year of study, doing MA in International Humanitarian Action in Uppsala University, Sweden. I am a secondary school teacher by profession. I have lived in Japan, Sweden, Ireland and Poland. I have visited a few other countries. My hobbies are travelling, running, writing and photography. This is the first time I am living in another country in Africa and yes, it is very hot here. This is also my first development assignment. I look forward to enjoying my time here in Sierra Leone. I would like also to introduce Carmel Bradwell from Ireland who joined St Joseph’s family in January. She is a volunteer supported by Mission Cara. Most of her teaching career was spent in Special Education. She was the Principal of a Special Needs school in Ireland for 20 years. 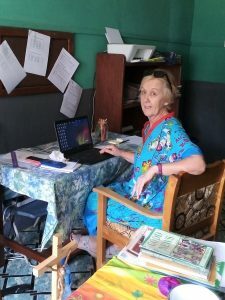 On retirement in 2010 she spent the following 5 years working with UNICEF on School Improvement Planning projects in Uganda. In 2016 she worked on a youth project in South Africa. She is now sharing her expertise with us. St Joseph’s was visited by members of World Hope International. They were in the area and decided to drop by and donated a cheque of 200$. Thank you! Michael Gething and Jim Roszell from World Hope International US. 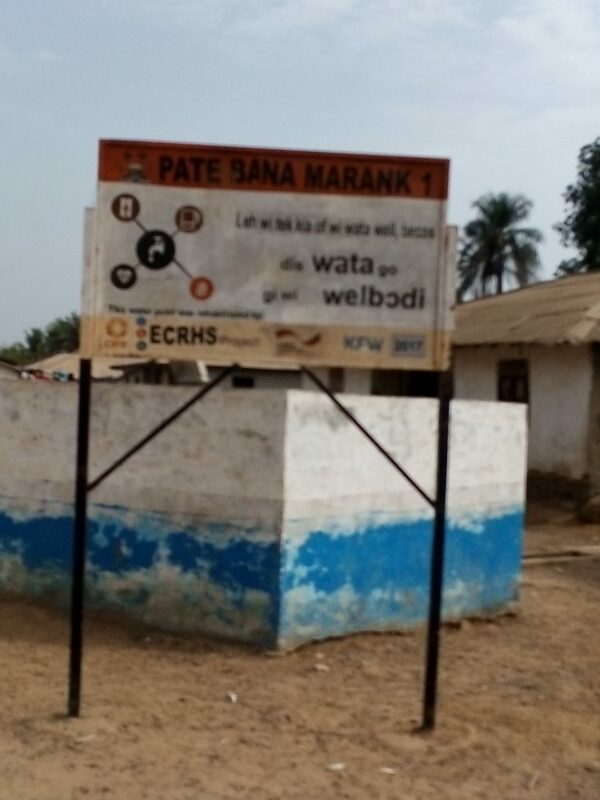 St Joseph Staff visited the PATE BANA VILLAGE, a nearby area that was severely devastated by the Ebola endemic, during 2014 to 2016. This area saw lost up to 160 people including many children. 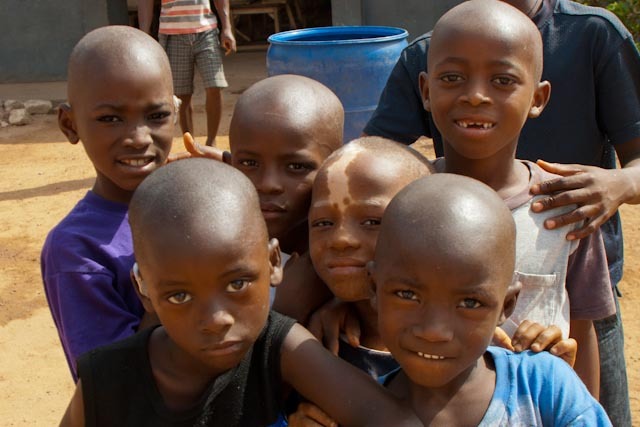 These orphaned children are now looked after by relatives. 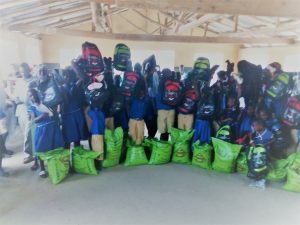 The purpose for the visit was to distribute school uniforms, books, etc. Rice was given for the families caring for the children. Caritas Germany over this long period have been extremely generous since this terrible disaster for so many Sierra Leone’s people. 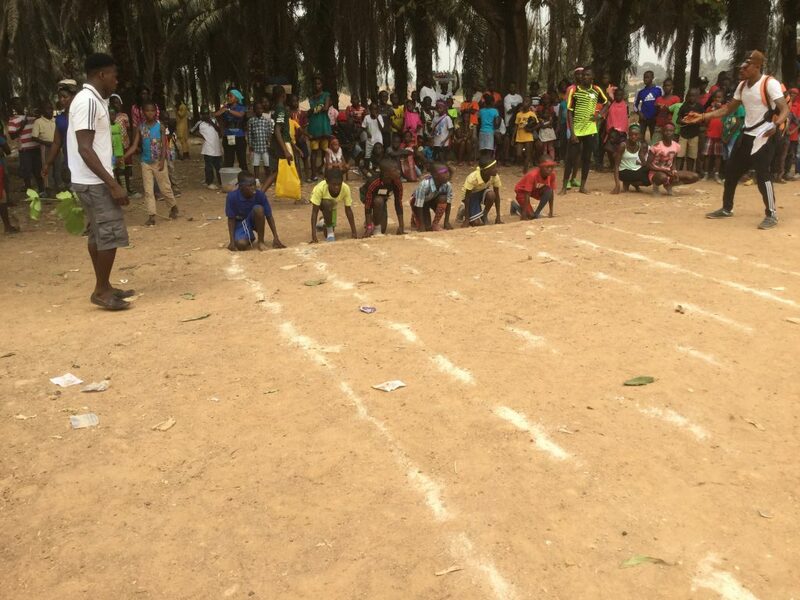 Our school took part in this annual track and field competition, called here Sport Day . We were very happy that the Chairman, Linda Freestone and her husband Chris , our great donors from “Friends of St Joseph” in England, that day. Prevention is better than cure! 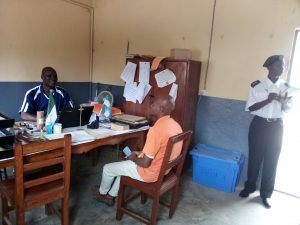 We invited the Makeni Fire Department to the school to conduct a full assessment on fire hazards and make recommendations. The results showed that we need at least 32 fire extinguishers! We had only 6 fire extinguishers! We also discovered that the last time we were wrongly given 6 extinguishers for use in vehicles. Thank God for our wise friends who saw to our future safety! Sr Elisa leading Mr Alimamy, the Fireman to the kitchen area. The Head Teacher under examination. To complete a full day’s work, Vera Jeschke (Caritas Germany) comes to our tailoring department to shop. …Look what she chooses. 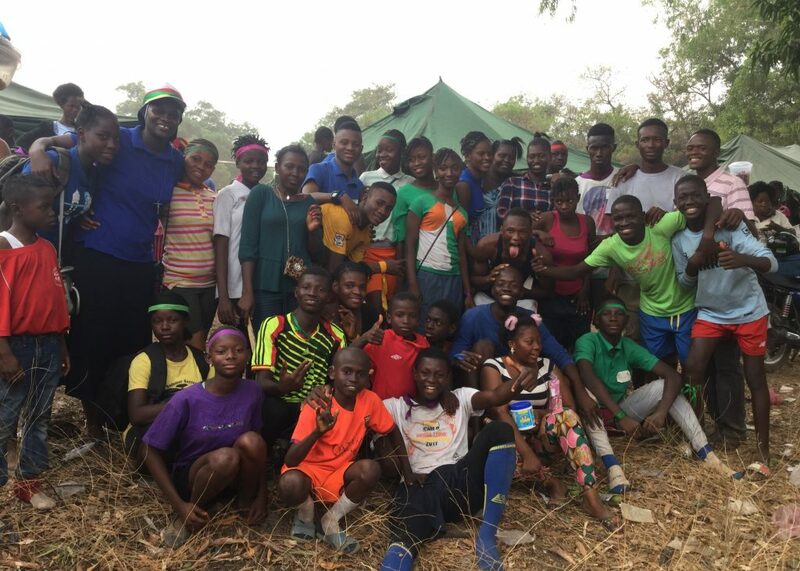 What a great way to end her visit to Makeni! Thank you Vera for all your encouragement and help. 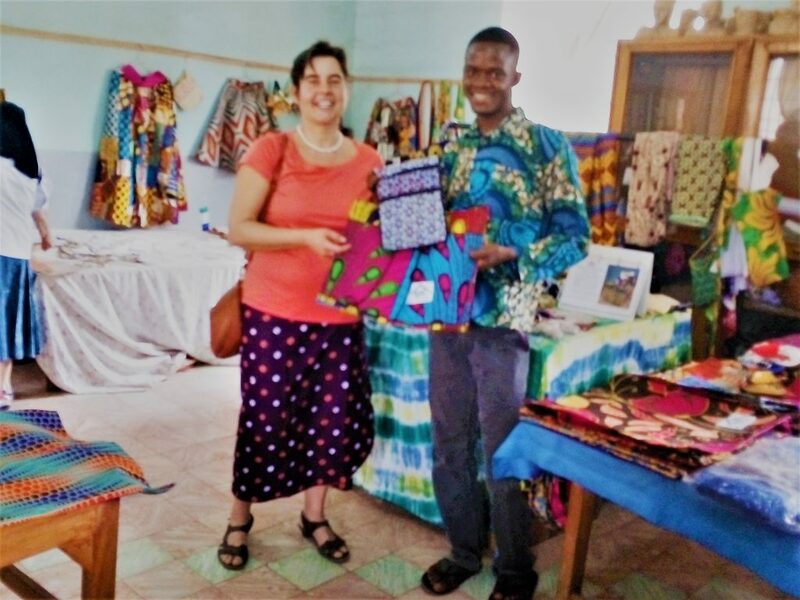 Bobson is helping Vera to buy bags…great choice! 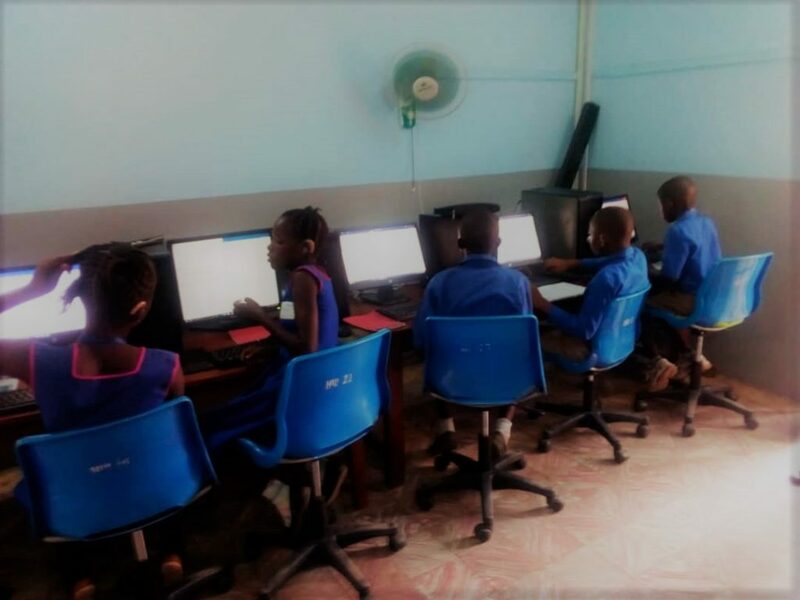 The IT Department has been busy with the installation of new computers and getting them to work in a network system so as to improve learning and access to information. Mr Siddie Kanu is kept very busy with his very interested students. We are hopeful that we will be able to do a lot more to make our computer room better for wider education for the students. Students having their computer literacy lesson. On the 8th March, a public holiday celebrating International Women’s Day. 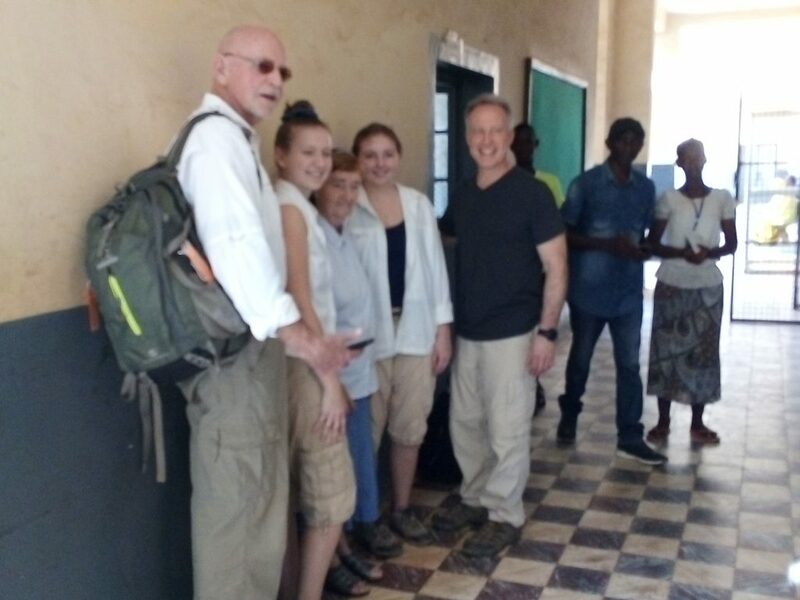 The Audiology Department was out in full force.They spent 3 days going to surrounding villages screening and assessment of students who were suspected of having a hearing loss. 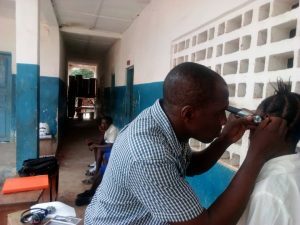 A total of 84 students were screened so as to be able to give children hearing aids. 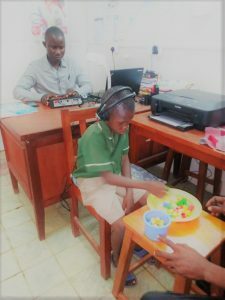 You can imagine that Monica Tomlin, our Audiologist and trainer of teachers of Hearing Impaired was kept very busy with these children screened. We had the great pleasure and honour of welcoming the team from Irish Aid, accompanied by Irish Ambassador Catherine, who came to visit to see the progress and the improvement of future the lives of our students. 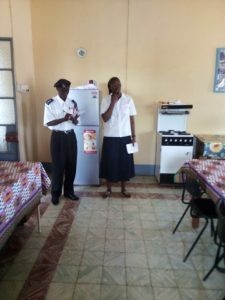 They visited various departments and classrooms.We are also happy to report that they enjoyed their meals in our dinijng room followed by a very comfortable night in our guest house. 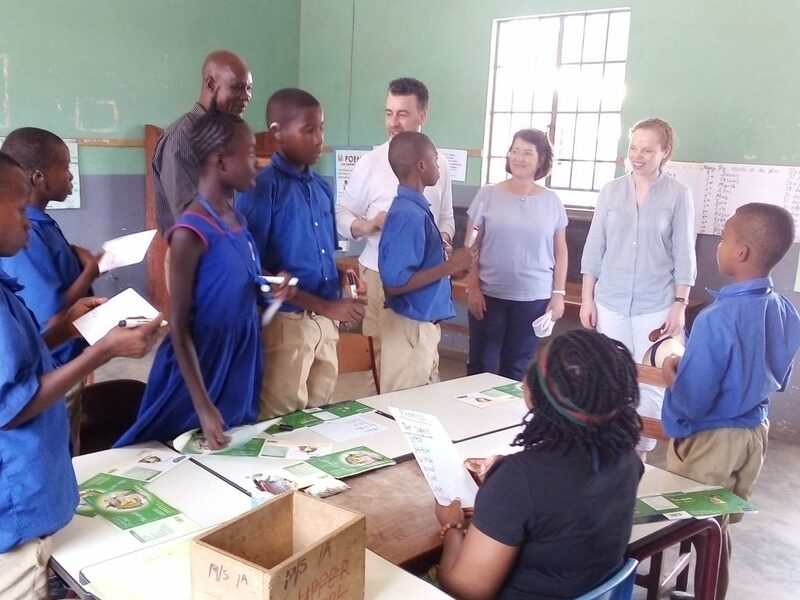 ﻿Photo from left ,St Joseph’s Head Teacher Andrew Dumbuya, Director Gejoseneral (DG) of Irish Aid Ruairi de Burka and Head of Irish Aid in Sierra Leone, Mary O’Neill. The team was headed by Irish Ambassador, Catherine Campbell (Right). Celebrating he Feast of St. Joseph, we attended Mass in the Cathedral. This was followed by a celebration meal for all our pupils and staff. The Cluny Sister keep St Joseph as the Father from all those in their care. 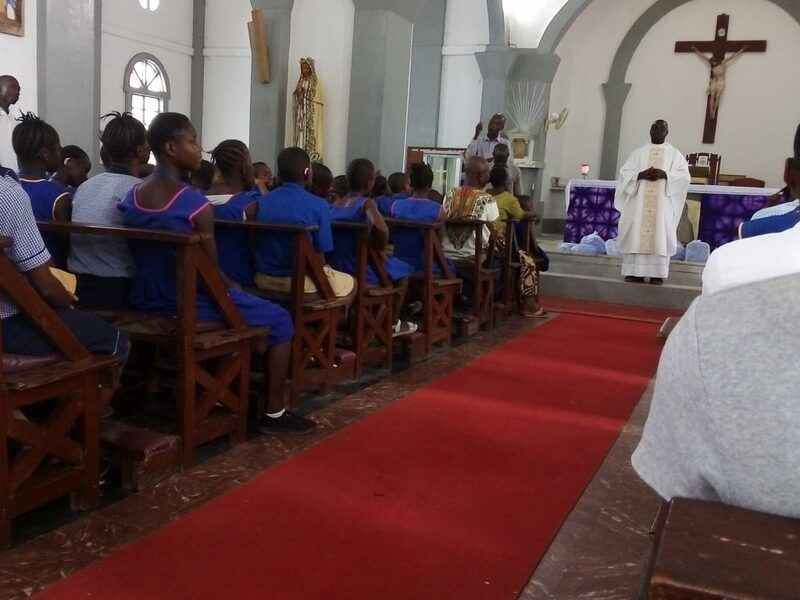 The Mass was celebrated by Father George Conteh and the students were actively involved singing and clapping. A great joyful celebration. 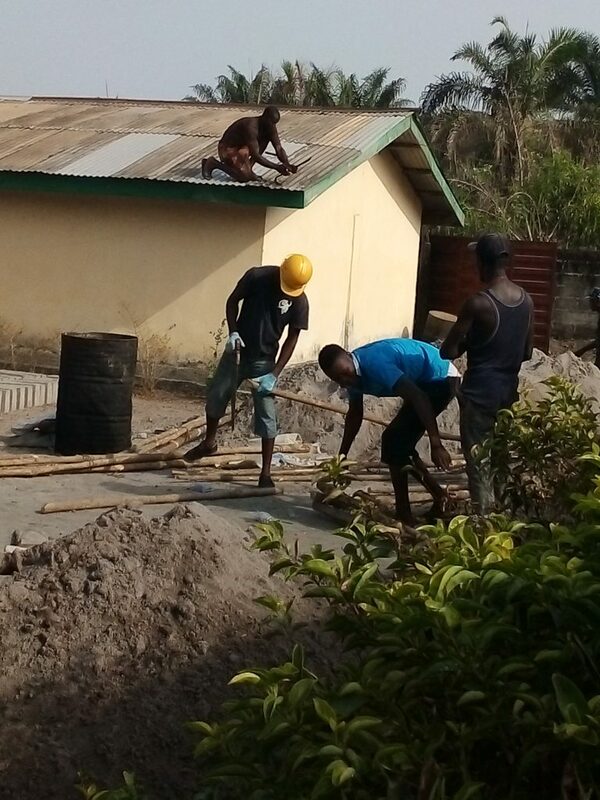 The purpose of the visit was to see the progress of the renovations that are taking place. I also had an opportunity to learn more about activities that are taking place. Rice harvesting and palm oil processing are the main work at the moment. I took a walk around the farm with the farm manager (Alfred) who showed me all the food that the farm produces cassava, pepper, pineapple, sweet potato etc. It was a great experience as I got a better understanding of how the farm is supporting the school with produce. Thank you for taking the time to read, my first newsletter. I tried to give you a flavour of what has happened over the last two months. We will endeavour to produce a newsletter every month from now on. I would be delighted to receive your suggestions on how to make this newsletter as interesting as possible to you our benefactors and donors. Please do let me have any suggestions that may help you understand the life we live in St Joseph School. This entry was posted in Uncategorized on 27/03/2019 by stjosephsmakeni.